When planning a Maine destination wedding, part of the fun is having an extended stay in one of the most beautiful places in the world. Your guests may have never been to Maine. Many of our couples at Granite Ridge want to give their friends and family the best possible introduction to a state that is so special to them. 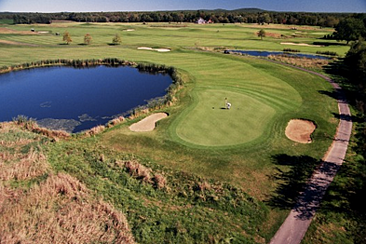 One of the most beautiful ways to experience Maine is on a golf course. Why not plan to get the groomsmen and dads to go golfing on Thursday or Friday before the wedding? Golf experts come far and wide to enjoy the many courses Maine has to offer. You can rent the Granite Ridge party bus from L.A. Luxury Limo and transport your crew to any golf course in the State. We have a few near us that any golfer would find unforgettable. When you are planning your destination Maine Mountain Wedding at Granite Ridge Estate and Barn, the activities that you can choose for your guests are endless and the golf options are sure to have them remembering your wedding weekend for years to come. 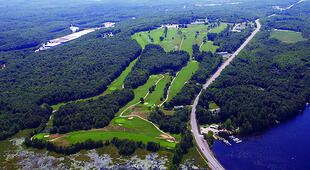 But with over 100 golf courses in Maine, how do you choose which course to play? I turned to industry guru and Maine golf expert, Peter Webber, to give me the run-down on the best places to play golf near Granite Ridge Estate and Barn. 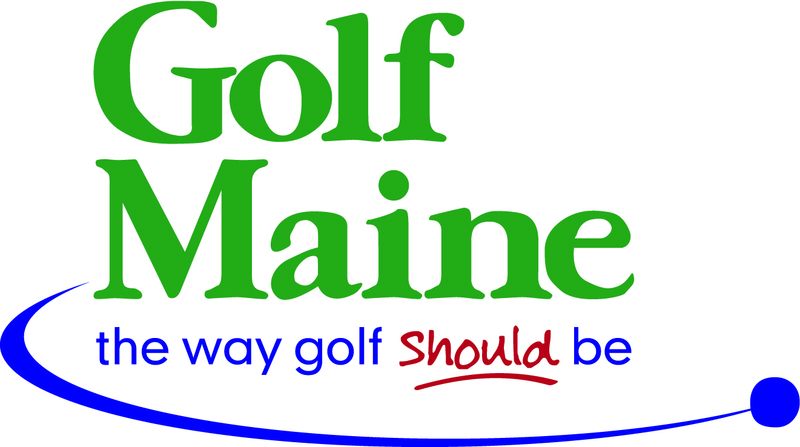 Peter operates the website, www.golfme.com, a site exclusively dedicated to helping Maine travelers find the golf courses best suited for their ideal and perfect Maine golf experience. Peter, the self proclaimed golf concierge of Maine, got started 14 years ago after a business trip to the south. He had booked an extra day on his trip for golf, but was overwhelmed by all the golf courses in the area. He wanted to know the “inside scoop” from each course in order to make the best decision as to where to play. He brought the concept back to Maine and enjoys helping travelers find their best suited golf courses. When looking for Maine golf courses he can assist you with insider knowledge to all the courses, offer tips on getting you the best rates, and tee times. He takes the time to get to know you as a golfer so he can recommend the very best golf match. Sunday River Golf Course was built less than 15 years ago by nationally renowned golf course architect, Robert Trent Jones Jr. He chose the picturesuque Mahoosuc Mountain Range as his backdrop and positioned it so every hole has a perfect mountain view. This is a difficult golf course, you will be challenged! People come to this golf course to play a very special and unique game, they usually leave in awe of the scenery not caring they shot the worst game of their life! Insider Tip: This golf course is owned by the Harris Golf Group. If you are planning a wedding for 2016, visit their website – www.harrisgolfonline.com - during the winter months to receive incredible discounts for green fees. Get your groomsmen a day of golf for 50% off by booking in the winter months. 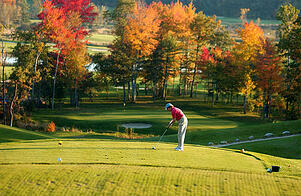 The Spring Meadows Golf Club is north of Portland, Maine approximately an hour from Norway, Maine. For guests traveling through Portland this would be an ideal “pit stop”. This course is modern in design, with a variety of skill levels throughout its 18 holes. This course is the definition of serenity; intertwined with streams, ponds and lush greens. It wouldn’t be unusual to see wildlife during your time at Spring Meadows Golf Club. Insider Tip: Golf and the promise of wildlife wouldn’t be the only reason to visit Spring Meadows Golf Club. This club boasts one of the most spectacular draft beer selections! Reason enough to visit, if you ask me! The Poland Springs Resort Golf Course is a classic older style course. The course was re-designed into an 18 hole championship golf course, by Donald Ross. If you play this course you will be sharing the green with famous names like, Babe Ruth and President Taft. Expect beautiful views of the White Mountains and surrounding lakes. This course is semi-difficult with a ton of fun holes! Insider Tip: If you stick around for the evening before heading to Granite Ridge Estate and Barn, the resort has a close relationship with the Oxford Casino. They offer a shuttle service to and from the casino for you and your friends! The Bethel Inn, a Granite Ridge Estate preferred vendor, has its own golf course. The course opens in May and remains open until late October. This golf course is exciting and fun! The course weaves a mix of older and newer holes together with an abundance of challenging holes, however this course has a lot to offer in character and charm. The course is beautiful with ample breathtaking Mountain views. 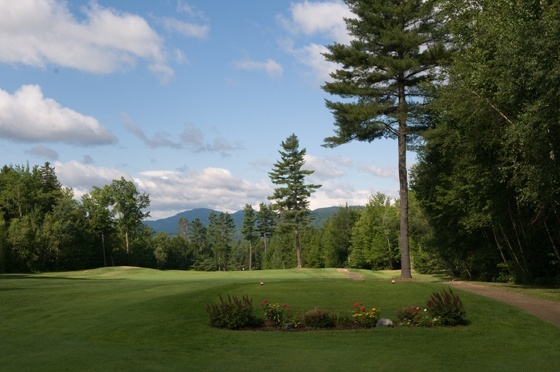 Insider Tip: The Bethel Inn has some of the most incredible golf packages in Maine. 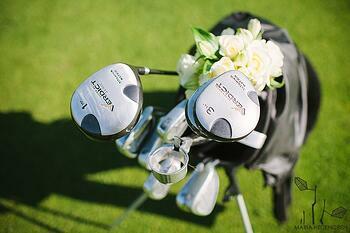 When you book your weekend wedding getaway at Granite Ridge Estate you can golf the entire weekend for one flat rate. They offer unlimited golf, which is virtually unheard of. The Links at Outlook is a very popular golf course in Maine. 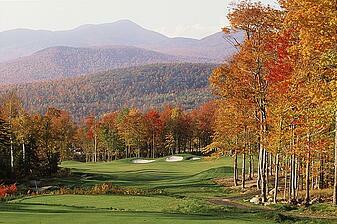 The course is just over the Maine border and is popular amongst New Hampshire and Massachusetts residents. A lot of out-of-staters will venture up to Maine to get tee times because Maine has more courses than they do golfers. It is usually very easy to get a tee time. This course has a split personality. The first 9 holes are situated in an open field while the back 9 are amongst the trees. You literally walk through a tunnel and the entire view is different. This course ranks very high on the fun meter yet offers a golfers a challenge. 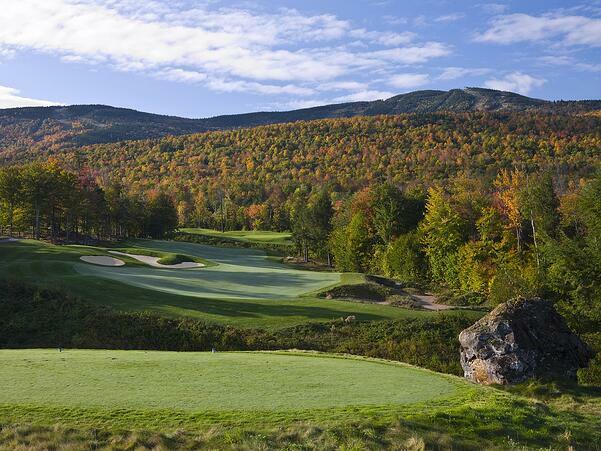 Insider Tip: The outlook has one of the best 19th holes in the state of Maine. For those of you not familiar with the 19th hole, it is the bar! The outlook’s lounge overlooks the 18th hole, so you can enjoy a beverage and watch golf as it happens. 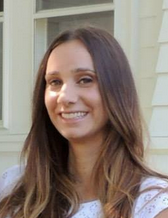 Kimberly Schuerhoff is the Luxury Event Specialist for Granite Ridge Estate and Barn. She loves all things stylish, organized, and accompanied by an extraordinary glass of wine.